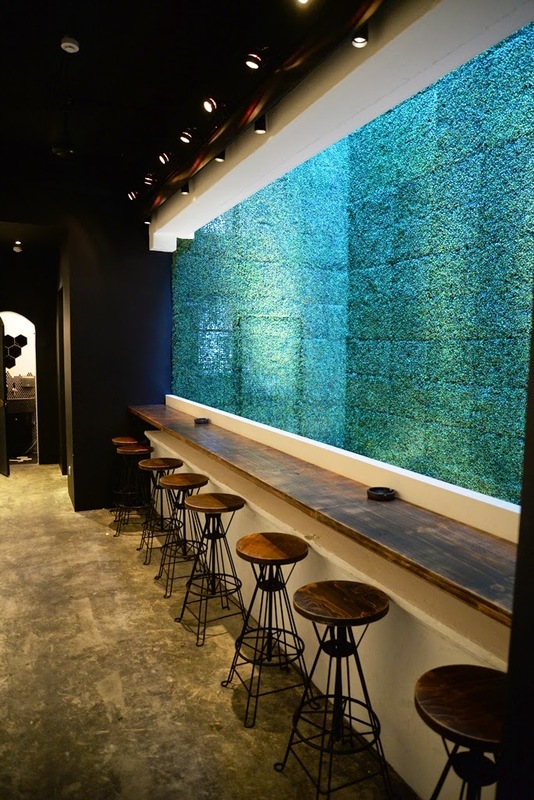 There seems to be no lack of F&B ideas budding up in Singapore and I'm excited that the two Singaporean aficionados of Korean culture and food, Jamie and Kristin Lim created this three-month old brand new makgeolli bar and restaurant concept in Singapore. 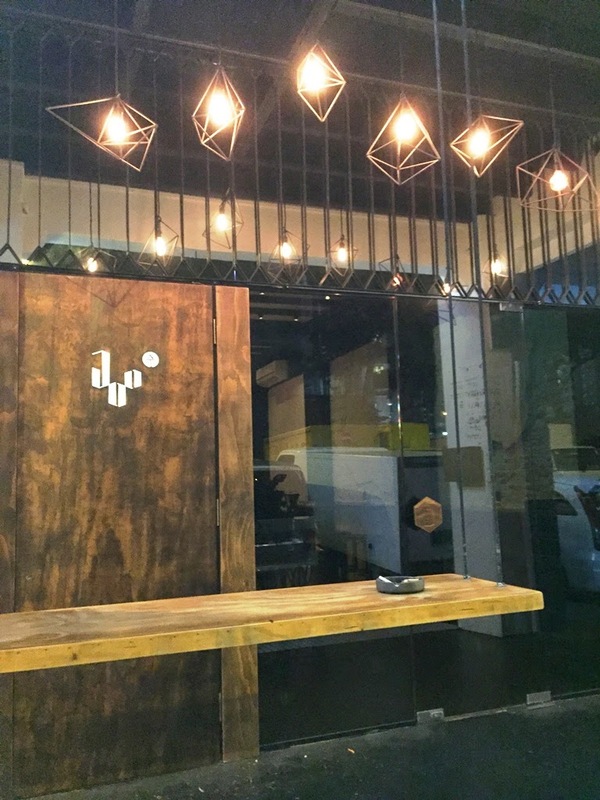 Joo is a new after-work-chill-out place located not too far from the CBD area, along Tan Quee Lan Street right opposite Bugis Junction. 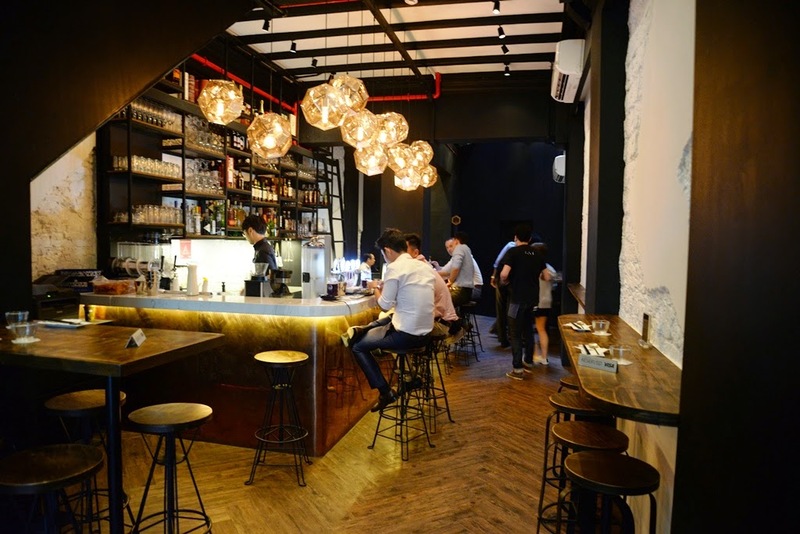 Translated to 'alcohol' in Korean, it is a three-storey shophouse set to bring us creative drinks complementing with top notch modern Korean bites in a sleek and casual dining setting. 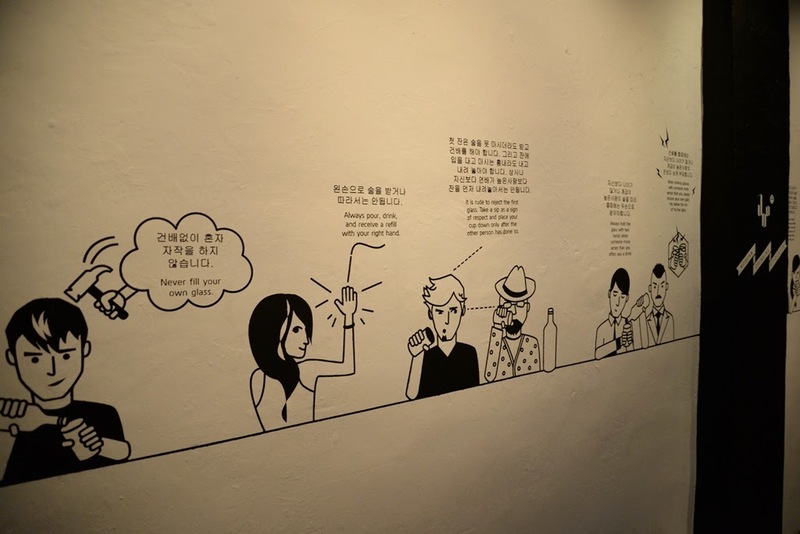 There's a smoking area outside the washroom on second floor facing a wall of green and behind is a wall with hand-painted illustrations of Korean drinking culture. I figured out that Koreans can never fill their own glasses in Korean drama, but I never noticed that there are a lot more etiquettes that they have to follow. 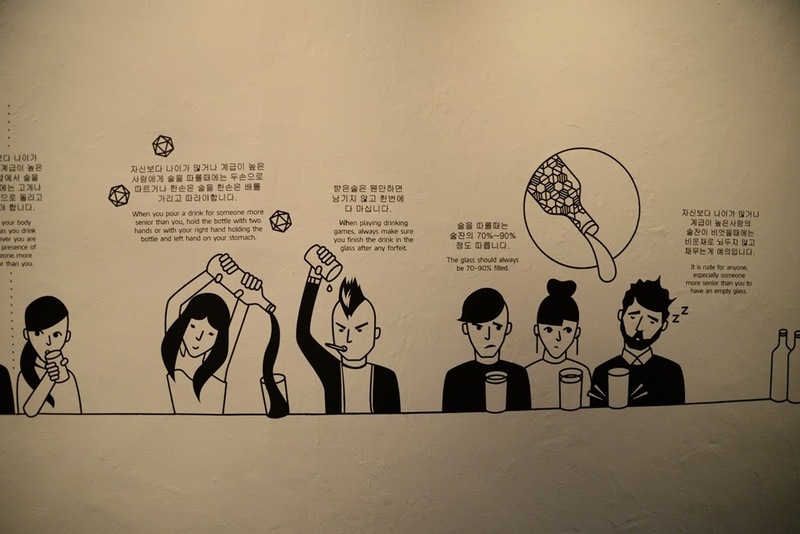 Thanks to the thoughtful owners, now we know what to do whilst drinking with our Korean friends or at a Korean bar! 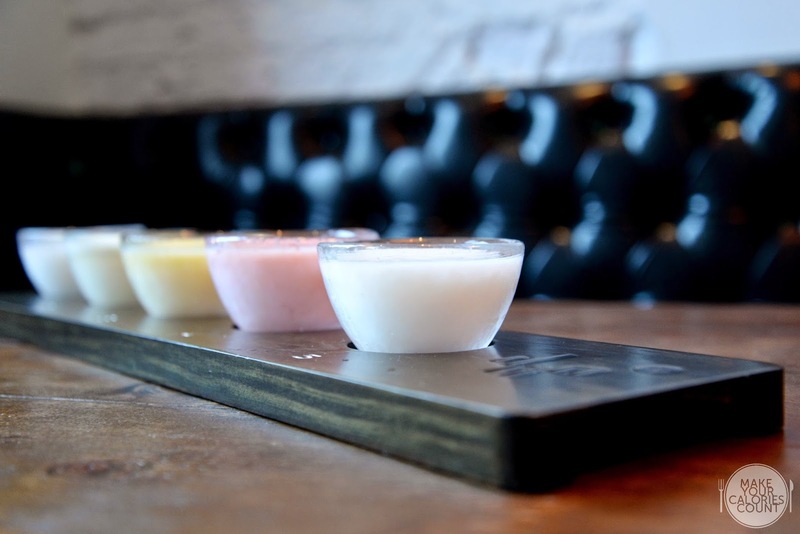 Makgeolli being the limelight at Joo, is the first in Singapore to house-brew the Korean rice wine and serve it on tap. This cloudy and light-bodied alcoholic beverage is 6-8% alcohol by volume (ABV) and best served cold. 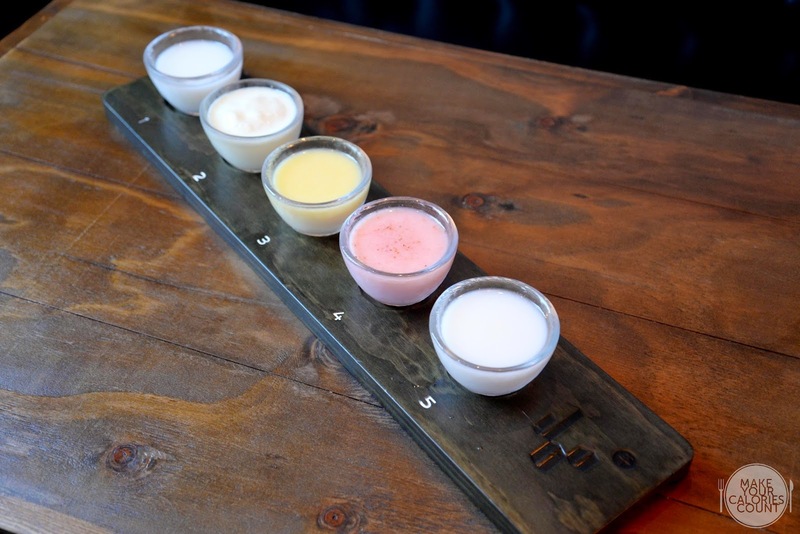 The owners are particular in making preservative-free makgeolli with organic rice and purified water, which fermentation and filtering process usually take two to three weeks. For newbies who have yet to try their flavoured creations, you can order this sampler which showcases the home brew and four in-house selections blended with varied ingredients such as yucha/citron, peach, strawberry and lychee. 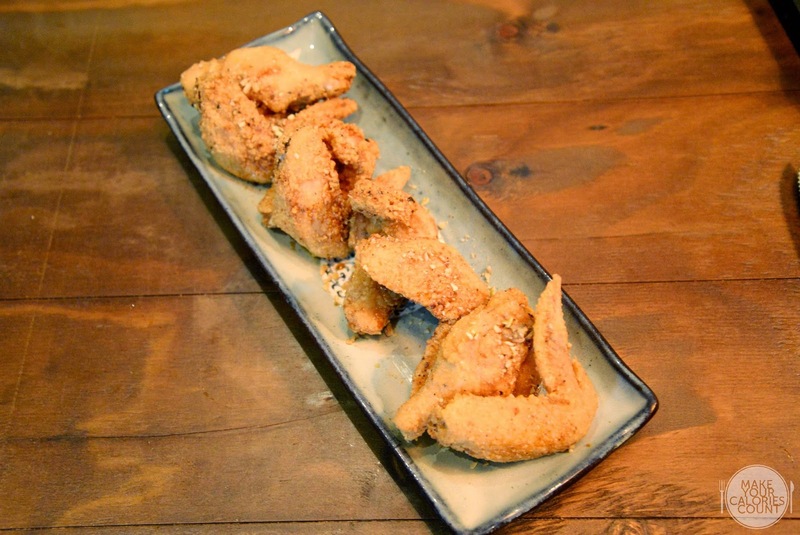 Of all five options, the sweet, tangy yucha was my favourite and on my next visit, I know just what I would order! Above is a 150ml bottle priced at S$7++, another size would be S$15++ for a 500ml carafe for 2 pax. And these are the 800ml large bottles for S$28++ for 4 pax. 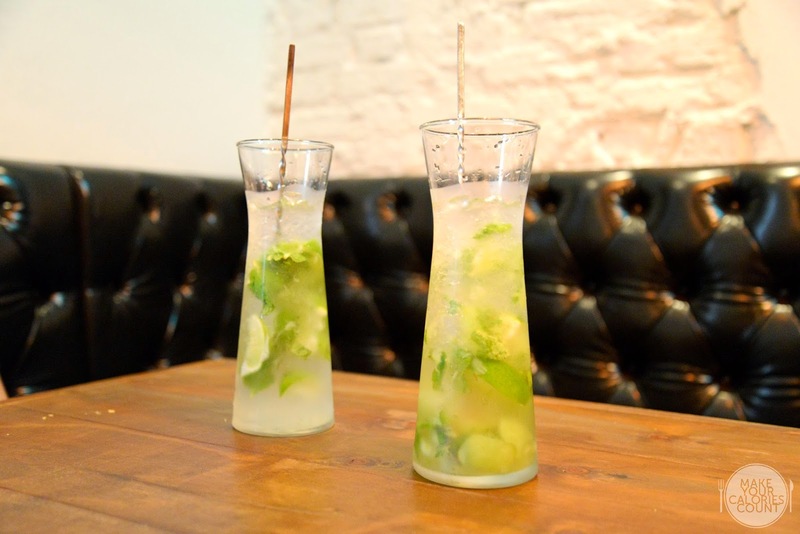 Towards a more traditional approach, they serve a range of soju (distilled Korean rice wine) tipples such as the above soju mojitos that made with fresh lime juice and grapes. 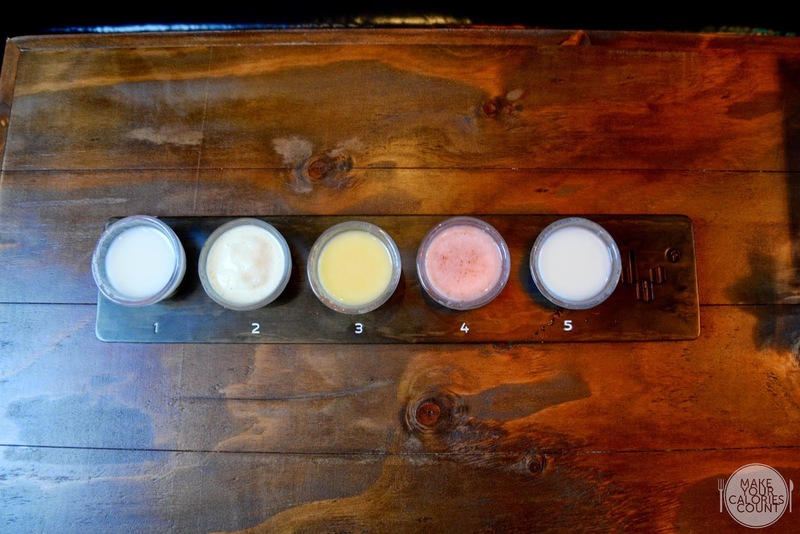 Soju is relatively higher in alcohol content compared to makgeolli which varied from 16.6% to 45% ABV. 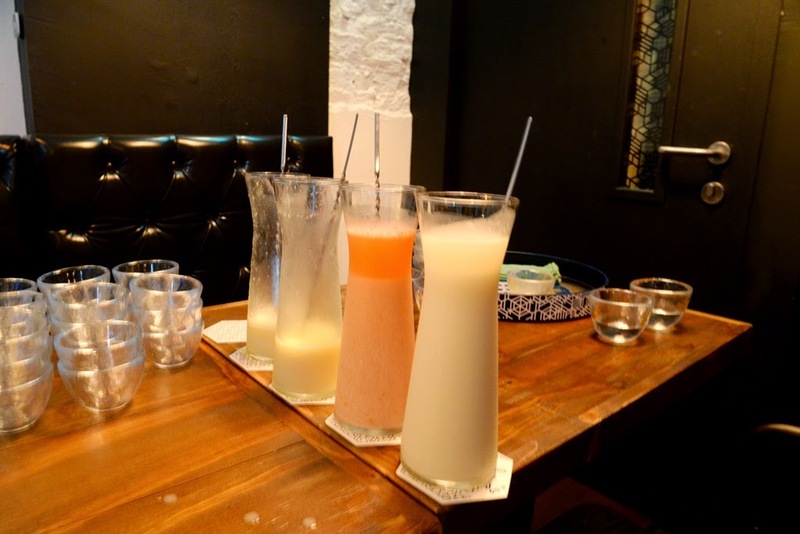 I loved both flavours as they tasted refreshing, and had clearer aftertaste than the milky makgeolli. 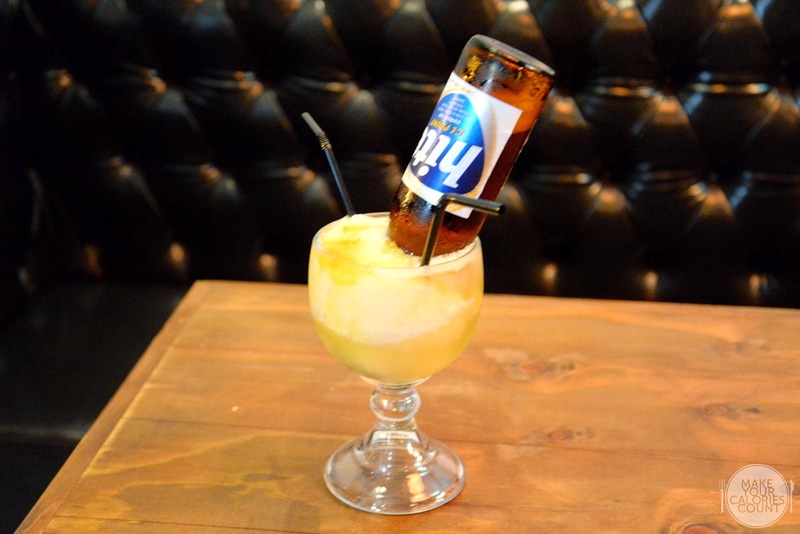 A fun and gimmicky alternative is this big glass of frozen soju-yucha-Cointreau-lemon-juice mix with an overturned 330ml Hite beer. The frozen mix was luscious, refreshing and went perfectly well with the delicate beer, sharing amongst your friends could create bonding as well. 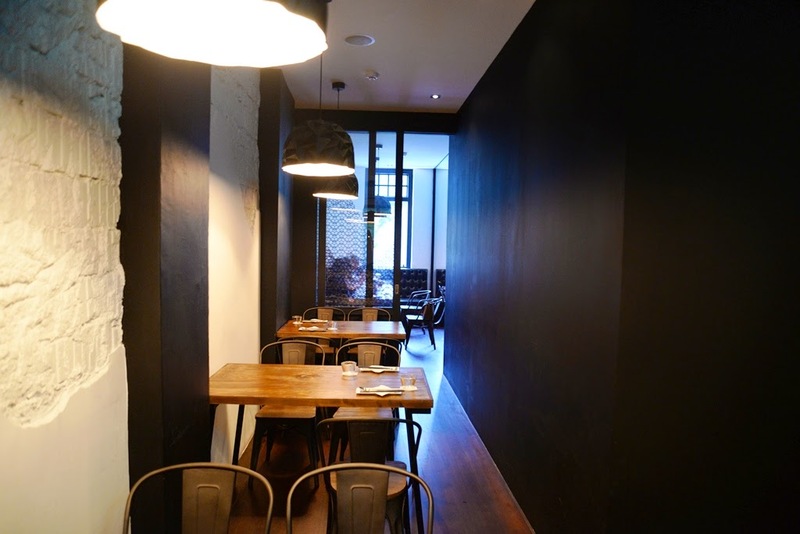 Customers can be assured of authentic flavours from the quality food options, as the kitchen is helmed by Head Chef Kim Chang Heon who is the second Korean graduate of the Culinary Institute of America and proficient in both Korean and Western styles of cooking. 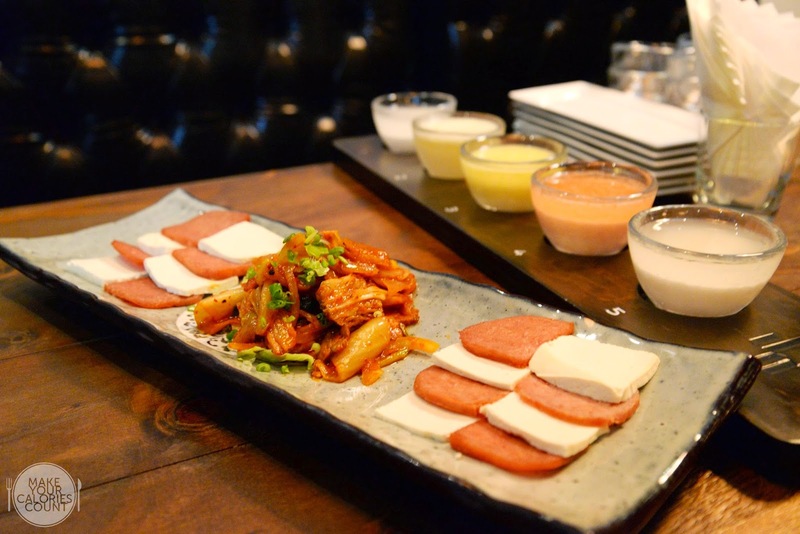 Quite frankly, I'm more of a fan of Korean drama rather than Korean cuisine but this would be a great experience to explore his contemporary Korean delicacies with emphasis on home-made ingredients. Here are some Anju (food that goes well with alcohol) to kickstart the evening! I liked the presentation styles of all platters of bites that are meant for sharing. 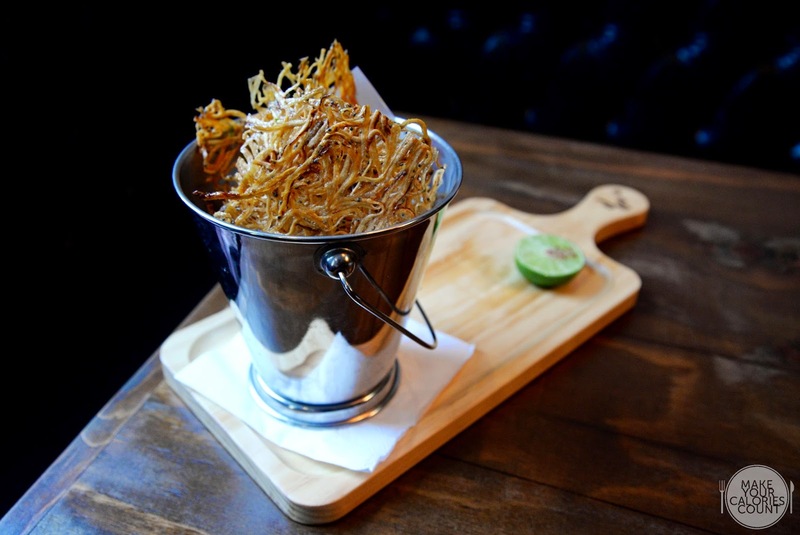 Bucket of sheets of deep-fried baby eel served with drizzle of chilli salt and lime zest was an addictive snack indeed. It paired faultlessly with alcohol and injecting the lime zest has undoubtedly completed the dish. The honest-looking hexagon house-made tofu chips has caught my attention and personally felt that it was the best among all bites tried. You have a choice of two cucumber-based dips to go along with the crumbly chips, avocado which goes smoother compared to the stimulating kimchi dip. I liked that many of their sides were home-made as it showed chef's sincerity and culinary skills to the diners, and makes us appreciate the feast more. House-made kimchi with onion and scallion that was tuned to local taste buds, not overly spicy nor sour, the combination with tofu and spam was interestingly palatable. 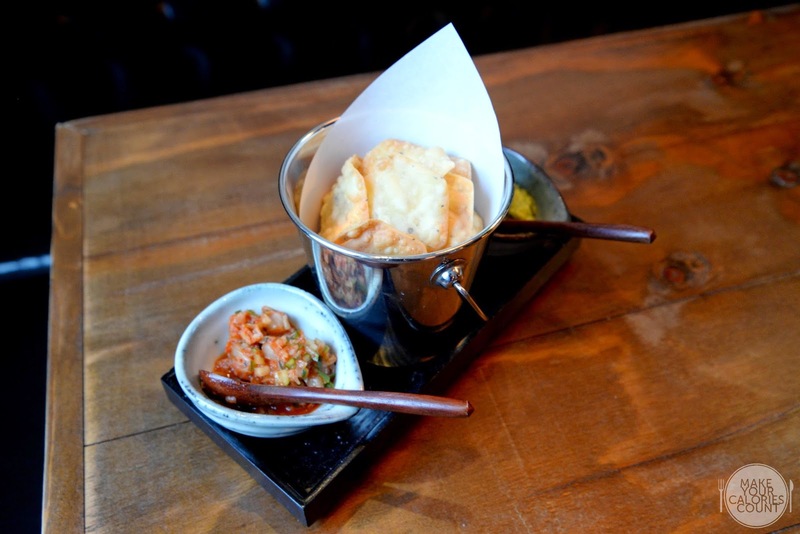 *Tiny hexagonal-shaped icons on the menu indicate suggested alcohol pairings with these bites. Joo only picks the best Hungarian Mangalitsa pork for cooking, about 200g of meat on this plate was brined with salt, pepper, soju and makgeolli before it was steam-roasted for 2 hours and 45 minutes. 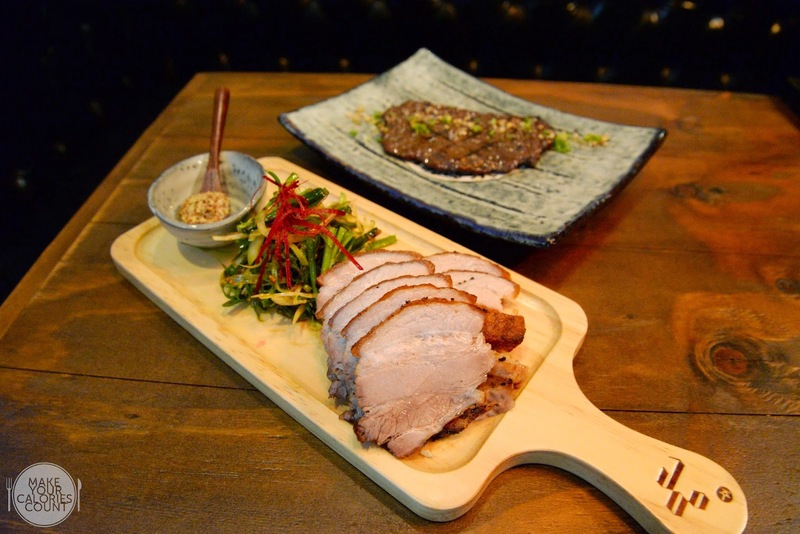 The thick cut pork belly was served with a side of chive salad seasoned with chilli flakes and soy sauce, as well as Dijon mustard. The meat was succulent with a crackling skin and packed with a flavourful porcine flavour. 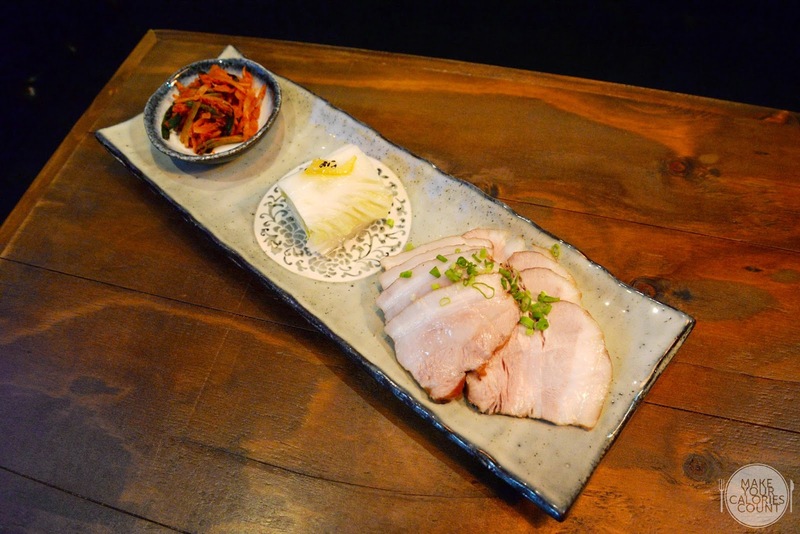 Unlike the former, this Mangalitsa pork belly was boiled with doenjang (fermented bean paste) and served with spicy radish salad and yucha-vinegar-pickled cabbage. The premium quality of the cut can be tasted but it was tad fatty and still carried a bit of pork stench when consumed on its own. However, the smell was quickly concealed if being wrapped in cabbage and radish. Overall, it was delicately demonstrated. 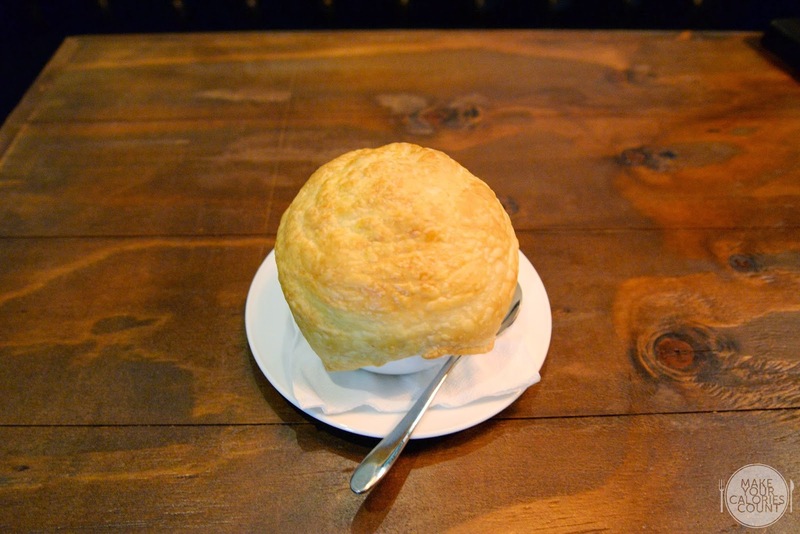 Beneath the golden crisp puff pastry was kimchi béchamel gravy muddled with chicken tenderloin and vegetables such as celery, carrot, mushrooms, onions and corn. The gravy was creamy and carried a full of kimchi punch. This plate was probably the hot favourite at the table and so was mine! 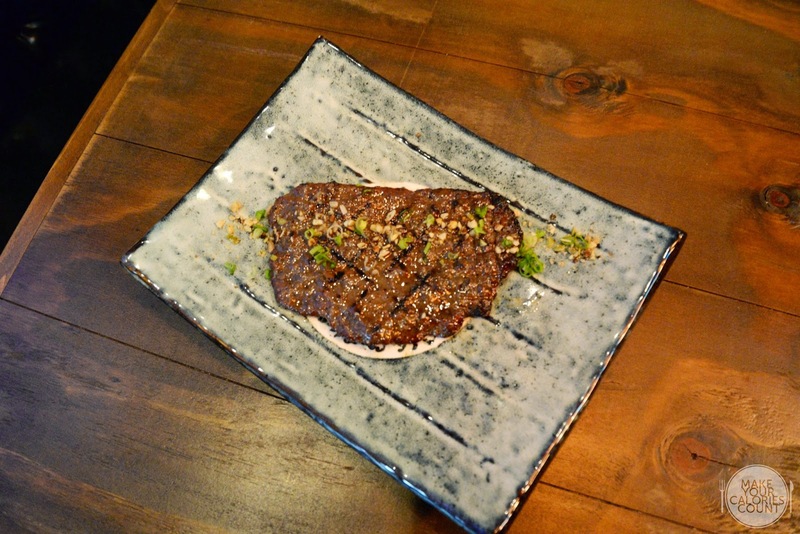 The hand-chopped US prime minced rib meat was marinated with garlic flakes, soy, honey and yucha, hand-shaped, then flame-grilled and lastly sprinkled with chopped nuts on top. The flesh was so tender, juicy and packed a robust beefy aroma, yum! 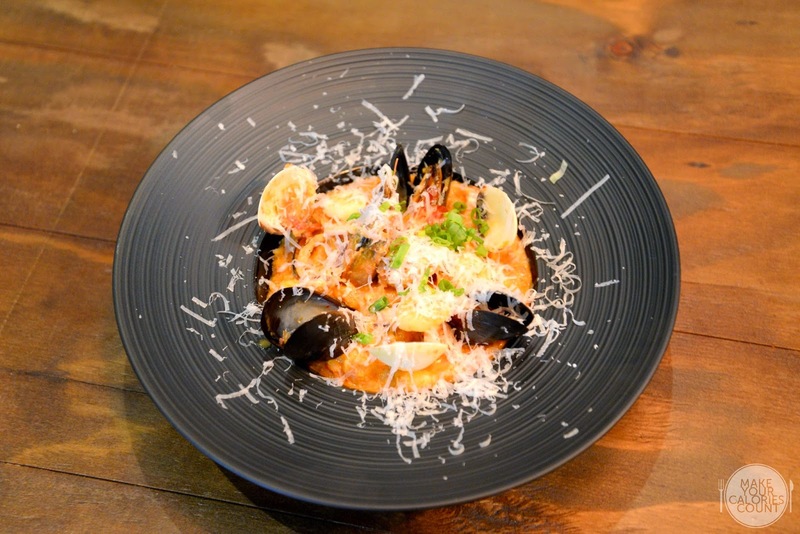 Korean rice was used in this risotto and stock was gradually added to it during the cooking process, then mixed in the fresh shrimps, black mussels, clams, squids that were sautéed with hot pepper paste, finished with cream and parmesan cheese. The chickens were deep-fried with soy glaze that have been infused with chilli flakes, then garnished with chopped mixed nuts which included sunflower seeds, sliced almonds, walnuts and pine nuts. 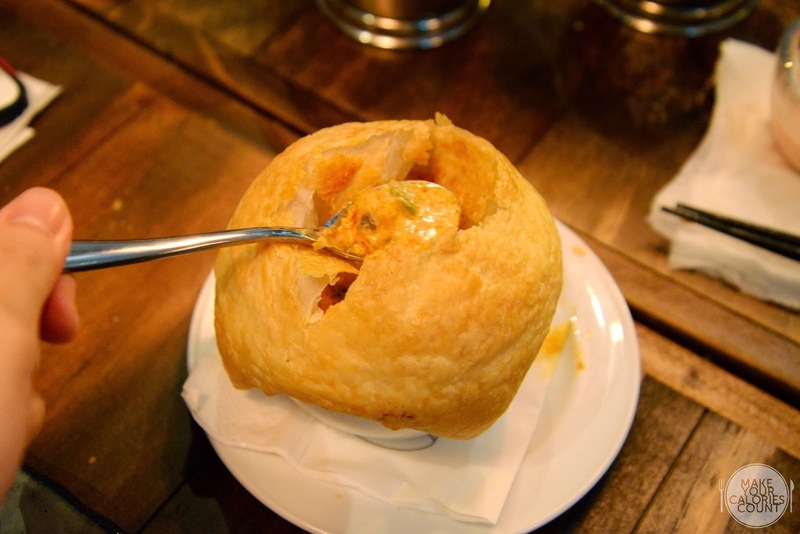 Loved the succulent meat encased in a crispy scrumptious skin, definitely a must-try! Dark Korean pinewood furnitures were specially imported from Korea, and each level has been designed to convert into a private room. I was quite surprised that it was full house on a Thursday night. The price tag might come across slightly on the high side, but considering the quality served and experience obtained, it was well worth the price! 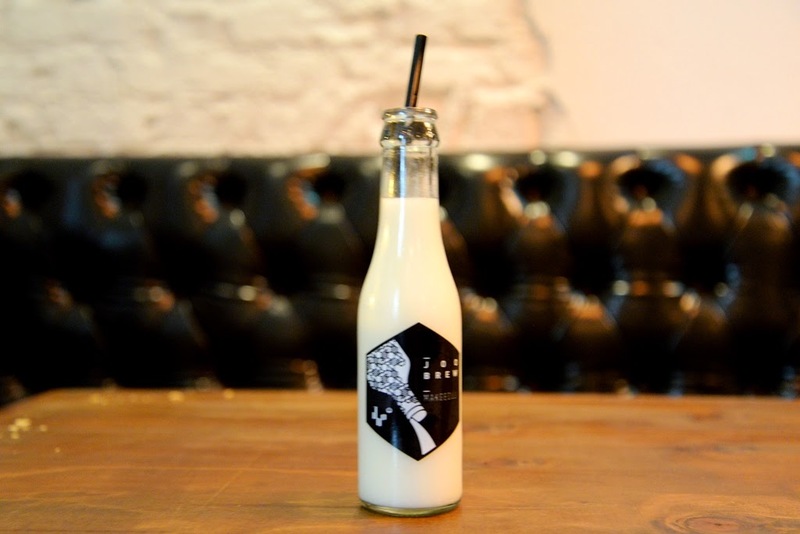 Joo is certainly on our list of Friday hipster chill-out places, it won't be long until my next visit. P.S. Photos were taken with D610, with thanks to Nikon Singapore! P.P.S. Many thanks to Noelle for the invite and Joo for having us! [SG] Sear | Love is in the air on 45th floor!